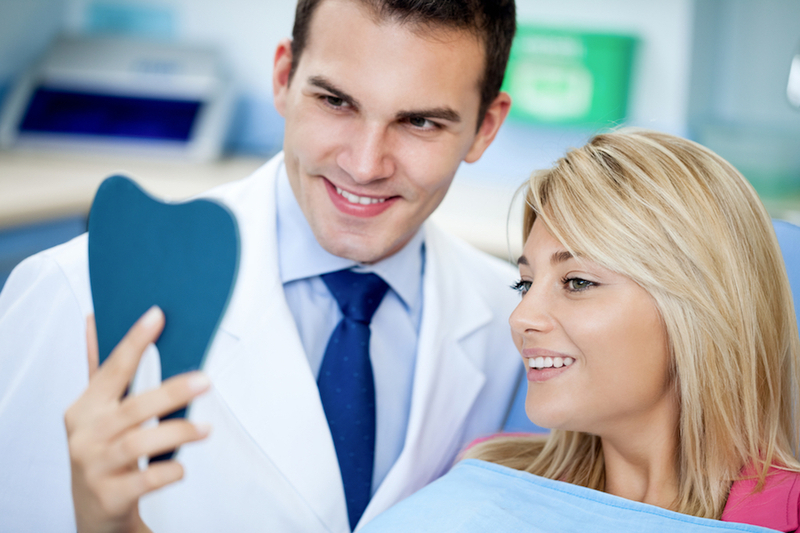 Technological advances are constantly changing the way dental care is done. As new technology comes out, your dental practice likely adapts to the new methods and strategies in order to give your patients the best possible care. Dental care isn’t the only thing that technology has changed for your practice. The traditional methods of advertising, while still used, may not be as impactful. Instead, a bigger focus is placed on online marketing strategies. Rather than things like print ads and television commercials, dental practices can benefit from establishing an online presence. In a report, 60% of American adults reported using mobile devices to search for local services. Without an online marketing strategy, your dental practice could be missing out on many potential patients. An online marketing strategy does take time and money, however. As a dentist running a practice, it can be difficult to find the time and resources to effectively run an online marketing strategy. Fortunately, there are services available that can give you the benefits of online marketing, allowing you to focus on running your business. There are a number of aspects that online marketing encompasses, and one of those is pay per click advertising, or PPC. As the name suggests, PPC does involve spending money to attract new patients. Before you invest in a PPC strategy, you’ll want to be sure it is beneficial for your practice. Let’s take a look at what PPC is, and how it can benefit your dental practice. PPC, or pay-per-click, is a form of internet marketing where a fee is paid each time an ad is clicked. Unlike SEO, which attempts to gain visitors organically, PPC essentially buys visitors to your website. The most common forms of PPC is through search engine advertising. By bidding on keywords related to dental services, your ad shows up at the top of search engine results. Each time your ad is clicked and a visitor heads to your website, you pay a small fee. When done correctly, though, the return on investment (ROI) makes the fee well worth it. For example, if you pay $2 for a click to your website, but it results in a new patient scheduling a $200 service, you’ve garnered a nice profit. A PPC campaign is built by researching and selecting the right keywords, organizing the keywords into different campaigns and ad groups, and setting up landing pages that are optimized to convert your clicks to new patients. When your goal is to run a successful and profitable dental practice, anything that requires a fee or investment is worth looking into. Let’s discuss three big reasons why PPC advertising is worth the money. While ranking high in organic searches is important, a number one ranking still places you below about eight advertisements and local listings. Even with a number one ranking, visitors have to scroll below the fold to find you, since paid advertising takes up over 85% of the above-the-fold real estate. With a PPC campaign, your website will show up in the coveted above-the-fold space as an ad when people search for the keywords you bid on, and it will make it much easier for prospective patients to find your website. PPC allows for ultra-precise audience targeting. Google’s PPC service, Adwords, is constantly improving and adding to its targeting process, and each method allows you to put an ad in front of potential patients during ideal moments of the search process. Targeting allows you to create a positive experience for your target audience. PPC professionals can audit competitors and ensure your targeting is optimized to put you on top. When you do what your top competitor is doing, but only better, you’ll end up being number one in your field. Pay-per-click allows you to track your advertisement in an advanced and detailed fashion. You are able to see the exact keywords, days, and even hours during the day that result in the most conversions. With this knowledge, you can optimize your PPC strategy to get your ads in front of your ideal prospective patients, and get a good ROI. With tracking, you can see how much each conversion is costing you for each keyword. After enough data is collected, you can get rid of the lower-performing keywords and focus on those that are earning you money. This ensures that your PPC investment is making you money instead of losing it. If you are afraid of spending too much per conversion, you can set a cost per acquisition (CPA), which gives a limit on how much each conversion costs. With tracking in place, you are able to spend only as much as you want, and you can ensure the money you do spend is spent wisely. PPC can be intimidating at first glance, especially since it requires a bit of time and money investment. However, when done correctly, PPC can deliver an excellent ROI and help your dental practice gain new patients and make more money. A trusted PPC management team can take over the duties of researching keywords, targeting potential patients, and tracking data so you can focus on running your practice and treating your new patients.